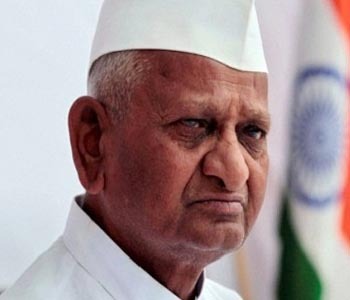 New Delhi, Sep 18 - Terming it "impractical" and "not feasible" in the current Indian political context, constitutional experts reject activist Anna Hazare's idea of the right to recall a member of parliament. "The idea is impractical as constituency sizes in India are too large. It would be practically difficult to collect signatures of voters opting for a right to recall and verify the same," former Lok Sabha secretary general Subhash Kashyap told IANS. Senior Supreme Court advocates P. P. Rao and Kamini Jaiswal also expressed similar views. Defending the idea, Team Anna member Prashant Bhushan said it needs to be set in motion. "It is not unusual," Prashant told IANS. "Right to recall operates in many countries." He said voters should have a right to recall an MP "if he does not perform according to the wishes of the people, disrupts House, takes bribe for voting or remains absent". "A rule can be made requiring a minimum of 33 percent voters for any right to recall to become operative," said Bhushan. However, experts said the right to recall is more suitable for Panchayat and Zila Parishad elections where the size of the constituency is smaller than assembly or Lok Sabha constituencies. Hazare went on a 12-day fast in August at the Ramlila Maidan in Delhi to demand a strong and more inclusive Lokpal Bill. He has announced that his next campaign will be for a right to recall erring elected representatives. Senior Supreme Court advocate P. P. Rao too believes the idea is not feasible as it throws up many unanswered questions: "How to recall? Who will do it? On which issues? And under what mechanism?" These would have to be addressed first, he felt. "Illiteracy among voters will affect the success of the right to recall," he added. The idea did not find favour with another senior Supreme Court advocate, Kamini Jaiswal. "It is not practical," Jaiswal said. "The process of implementing such an idea in a large country with a huge electorate will be very expensive." According to experts, technically, a right to recall means if voters are unsatisfied with their elected representative, they are able to recall the person before his/her tenure ends. At present, there is no such provision in the Indian constitution or in the Representation of the People Act, 1951. Recall procedures vary around the world. In Canada, under the Recall and Initiative Act, 1995, the requirement is over 40 percent of the voters.